“In a dynasty bound by blood and broken by betrayal, a heir is born”. 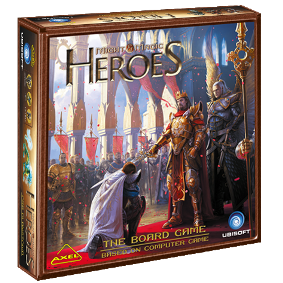 Might&Magic Heroes: The Boardgame is a game for 2 to 4 players. 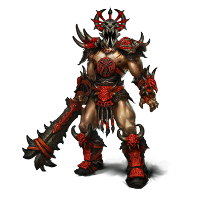 Each player becomes a leader of one of four different factions hoping to conquer and govern the realms of Ashan. BOX CONTENTS: 16 map tiles, 4 capital sheets, Battle Initiative Track, 12 Hero cards, 150 small sized-cards, over 350 different tokens,60 wooden control markers, 12 wooden heros markers (and stickers), 4 wooden capital markers, 1 special six-sided die, 5 eight-sided dice, canvas bag, rulebook. Copyright© 2012 Axel SC. All Rights Reserved.